Who inspires me – My board president Gayle Nosal – she lives to give. She is very cautious about serving from a place of ego – her intentions feel so clean to me. Her integrity is impeccable. The brightly lit gym is a whirl of movement as a handful of women dance to the pounding beat. Their faces are lost in rapture, their movements are free and wild. They are swept up in the power and beauty of dance, their everyday lives forgotten as they bound and move with the music. But these are no ordinary dancers. For these women are murderers. They are imprisoned for long-term or life sentences in America. Their dance studio is in a maximum security prison surrounded by fences topped with rolls of barbed wire. Yet, for now at least, the dancers are not hardened criminals but simply women – feminine, vulnerable, powerful and free. 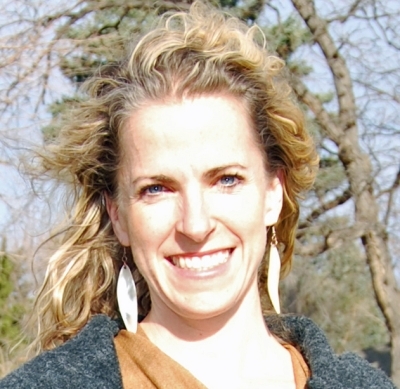 Leading the class is Lucy Wallace – a dance instructor from Boulder Colorado who runs the dance studio Alchemy of Movement. As a white middle-class woman, Lucy never dreamed she’d be spending her time with such criminals. 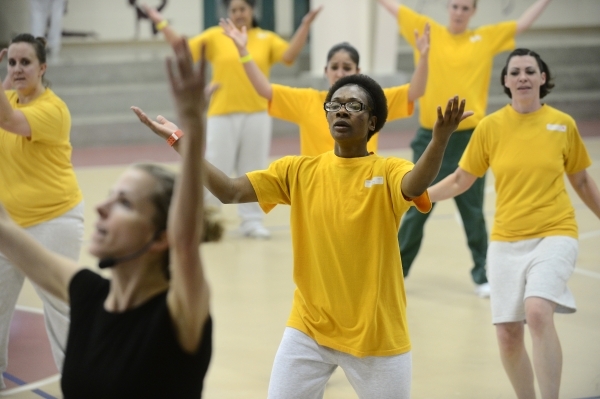 Yet the Dance 2 Be Free classes she volunteers to teach in Denver’s maximum security women’s prison have not only transformed some of its inmates, but also given new dimension to Lucy’s personal quest for meaning and purpose. The prisoners have helped Lucy discover the power of being truly vulnerable, the depth of relationships that can emerge when you express yourself freely, and the beauty that is revealed when you deal with people without judgement. But these are no ordinary dancers. For these women are murderers. Though Lucy loved running her dance studio Alchemy of Movement, the studio never earned big money and Lucy yearned for something more. She considered making at least part of the studio a not-for-profit and offering classes not only to the privileged kids and adults who already attended, but also to the less fortunate. With nothing but a vague idea of what she’d like to achieve, Lucy started cold calling prisons. She felt scared of actually entering the prisons, so thought she’d start by sending them her dance DVD and seeing how it progressed. But, after visiting the Denver prison for volunteer training sessions, she had her assumptions shattered. Despite the reassurances, Lucy remained apprehensive about meeting the prisoners. But as Lucy began dancing in the first dance lesson she overheard a Samoan woman, who’d been jailed for murder, remark, “Oh this is spiritual.” Lucy knew she was onto something. “I just thought ‘oh my god she gets it’,” Lucy says. Given the success of the first session, Lucy began returning to the prison for weekly dance lessons, attracting between 12 and 50 women. Of the attendees, five women were particularly taken with the dance classes – and these ladies signed up for dance teacher instruction, which Lucy also volunteers to teach weekly. It’s in this class, she says, that she’s seen real transformations and forged powerful bonds with women she would have once regarded with fear. … she’s seen real transformations and forged powerful bonds with women she would have once regarded with fear. As well as dance and dance teaching instruction, the women also write journal assignments, conduct breathing exercises and concentrate on breaking out of habitual movements and actions – both in and outside the dance classes. What does Lucy gain from spending her time with murderers? She says she has benefited immensely in having her preconceptions shattered, in learning to see people as they are, without judgement, and in gaining inspiration from the courage of the women she teaches. … there’s no pretence, there’s no vanity, there’s no entitlement. When Lucy began the dance classes she was unaware of what crimes her students had committed. She convinced herself that they were probably jailed for drug offences. But when a journalist conducted a story on the dance program Lucy learned the true reason for their imprisonment – and for most of them it was murder. She then Googled each woman who was participating in her teacher training and discovered the horror of their crimes. The prisoners are also reporting personal transformations. They say they feel less guarded, more connected, even freer. They laugh a lot, they cry. They share their fears and hopes for the future. Given the success of the program, Lucy is in negotiations to start similar dance classes at another nearby prison and dreams of one day such instruction being available to prisoners across the country. This is beautiful. Thank you both – all.